A-list comedian and actor, Bright Okpocha, popularly known as Basketmouth, has raised alarm on the dwindling status of stand-up comedy in Nigeria, observing that the entertainment craft is gradually dying. • Comedian/Actor Bright Okpocha (Basketmouth); CEO & Founder Blackhouse Media Group, Ayeni Adekunle; CEO X3MIdeas, Steve Babaeko; Country Manager, VIMN Africa, Bada Akintunde-Johnson; & Senior Channel Manager, Solafunmi Oyeneye at the VIMN Africa Social Media Week Session. The humour merchant was a member of the panel of communication experts at Viacom International Media Networks Africa’s (VIMN Africa) forum at Social Media Week, Lagos, to discuss the future of content in Africa. 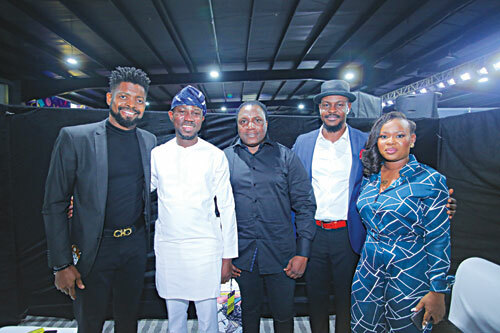 Speaking about the comedy scene in Nigeria, Basketmouth appreciated the efforts of Comedy Central, a property of Viacom, in creating a platform not only for traditional stand-up comedians but also trendy one-minute skits comedians. Basketmouth, however, noted that while he has no problem with the new generation of Instagram comedians, he still does not see enough comedians taking time to hone the craft of stand-up comedy. With over 20,000 attendees during the week and an online social reach of 646 million, Social Media Week Lagos is now considered Africa’s largest digital media and tech event.